Presenting just a few of the many “Sisters” in the collection! 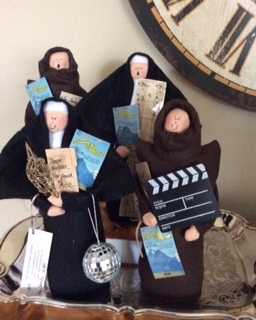 Visit the online store to view all available sisters, brothers, ornaments, and greeting cards of “Nun of a Kind”! Meet the Newest Addition to the Sisterhood! 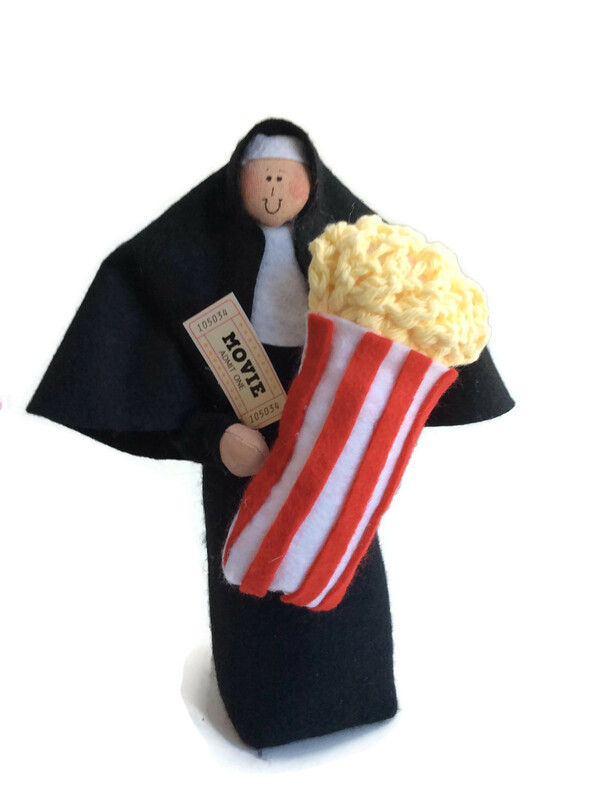 Sister Fanna Flicks....loves to go to the movies! Prefers the classics in black and white, but has seen "The Sound of Music" many times throughout her life...it has become a real habit! Most of the “Nun of a Kind” collection was the result of special requests. In some cases, further personalization is requested….adding little elements that make the gift extra special. Adding a list of daily activities, a favourite book, or something to reflect a unique hobby or interest, helps to create the unique character.